Gospel singer Jimmy Gait obviously doesn’t like temptations, or he is just a coward who can’t stand a lady who knows what she wants. 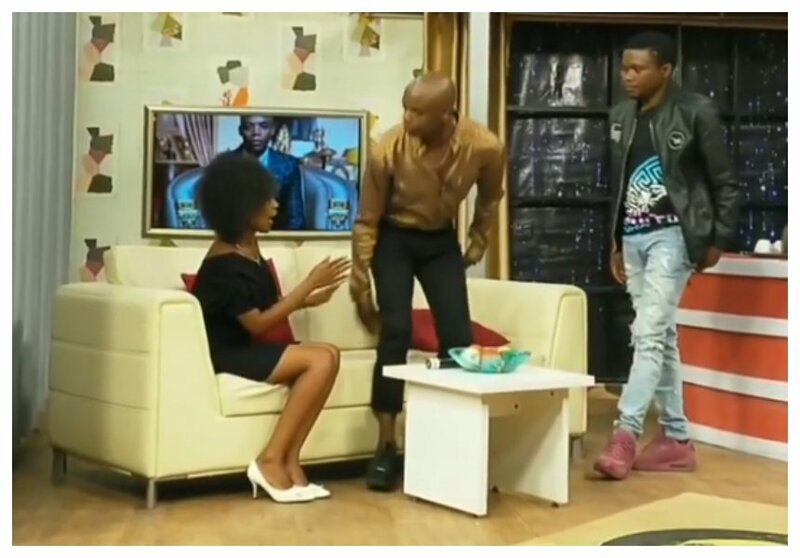 Jimmy was a guest at Chipukeezy’s show on Ebru TV when a love-struck lady walked onto the stage where he was and declared her undying love to him. The ‘Muhadhara’ hit maker chose to flee from the lady when she poured out her heart to him. Jimmy stood up and started walking away as the lady sat on the same couch he was seated. Some people however claim the whole incident was a staged drama meant to create traction for Chipukeezy Show. Jimmy Gait tried to act surprised at the whole incident and some people just didn’t buy it.